China offers unparalleled learning experience for student travelers with its unique history, culture and many educational resources. Student Tours from Easy Tour China are all about giving international students moments where the young can learn from new cultures, environments and people through authentic meals, activities and interactive programs. We are dedicated to making student trips special and educational which go beyond getting pictures in front of landmarks or just rushing between sites. All student tours are exceptional value and safe. Our professional team is trained to ensure the well-being of each participant, and for concerns that arise. They handle every detail which students do need to worry about anything except building lasting memories. A student travel is not simply selecting destinations & dates, booking hotels & transfer…It needs careful planning and research. 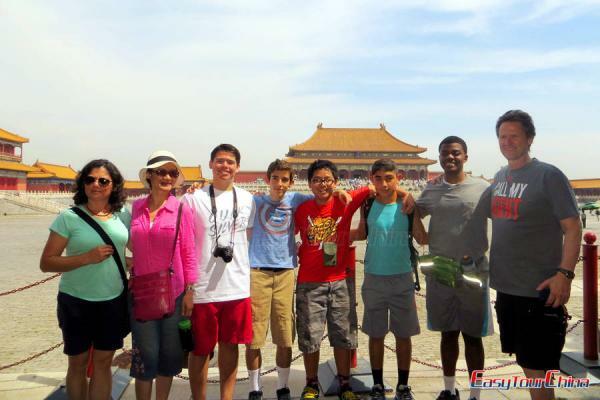 Easy Tour China lists suggestions below to help students build smooth and happy student trip. Before you go, learn about the local laws and customs of the countries you're visiting, especially those concerning drinking age, drugs and curfews. Money belt or security pouch are necessary to carry valuables and passport; keep the documents and emergency contact info in your carry-on luggage instead of pack bags. Pack a simple first aid kit with bandages, safety pins and pain relievers and so on. Give a copy of full itinerary of the trip to your parents and friends, maintain regular contact with them. Bring an extra pair of sunglasses or contact lenses. When waiting at the airport, checked out your bags to avoid lost. Never leave your luggage unattended at any places. Don't be flashy. Not wearing expensive clothes, jewelry and other accessory. Display confidence and alertness when walking around. Be aware of the cultural differences and traditional customs. Never discuss politics and lifestyle of the local in public. Always check the window and door of your rooms to keep it locked all the time. Do not admit someone to your room until get clearly identity and purpose. Report a lost or stolen passport to your embassy or nearest consulate, and cancel lost or stolen credit cards or travelers checks as soon as possible. Report stolen items to the police and get a copy of the theft report to include with your insurance claim.